I hope you're having a great Saturday morning! It's a chilly morning here in Florida with lows in the low 50's! My husband said it was actually 47 degrees here! Wow! We love it! There's nothing better than the weekend to relax in the morning with a cup of coffee and catch up together on the previous week! 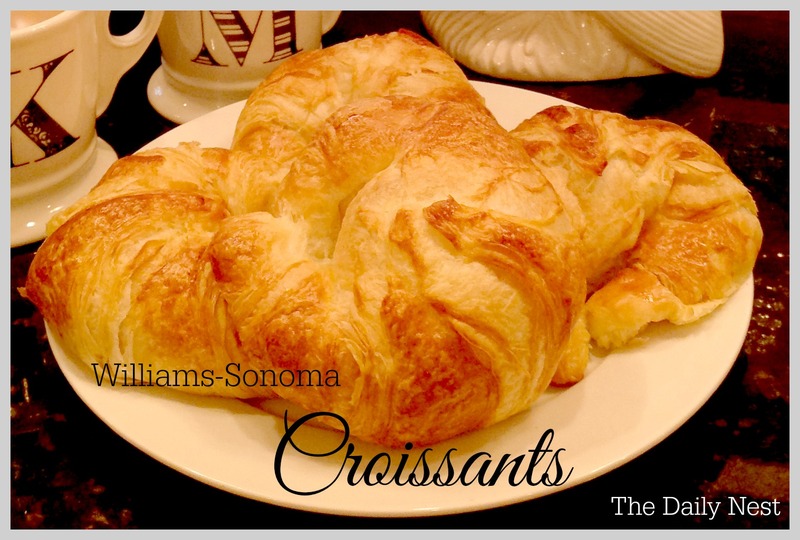 But this Saturday I had a special treat for Mike…Williams-Sonoma Croissants! Let me tell you I've never been to France, but in my mind this is what France tastes like! 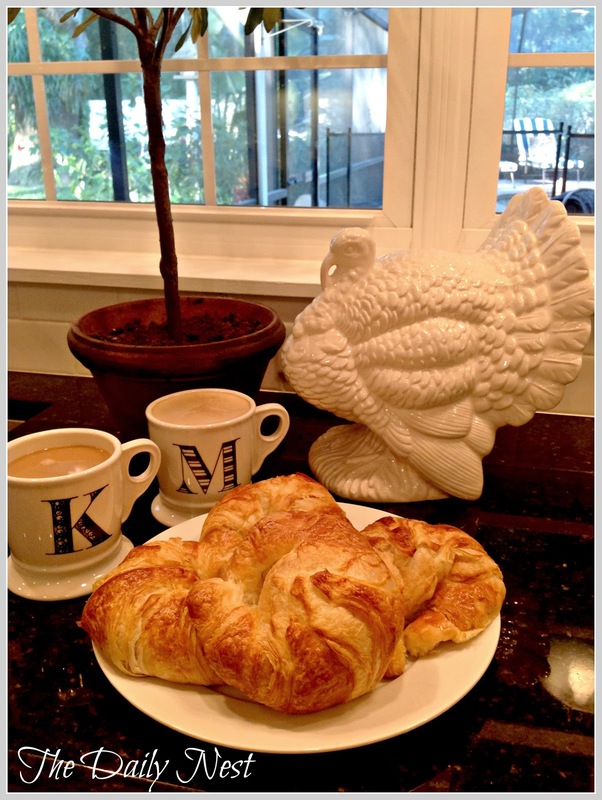 These croissants are so light and decadent, perfectly buttery and flaky! The perfect weekend treat! Or what an amazing gift to give someone for Christmas! You are supposed to bake them on parchment, but I didn't have any so I had to use foil. 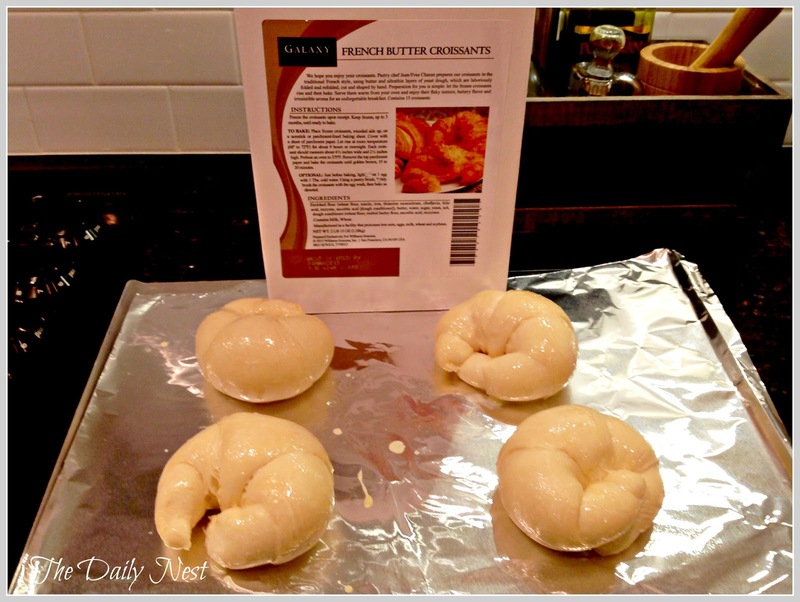 I would recommend using parchment. They come frozen and all you do is take them out the night before, cover and let them rise. I brushed them with an egg wash and baked until golden brown! If you want to treat yourself or someone you love to a truly delicious croissant, give these a try! You can find them here from Williams-Sonoma. They also come in chocolate! *I was not compensated for this post! I just really, really love them!